I’ve been on safari more times than I can count and the feeling of heading back to the bush is one that I could never get bored of. Every trip is different and unique and each time I see something different and learn something new from the talented and knowledgeable guides. The Luangwa Valley is a gem, I’ve been fortunate enough to see a lot of East & Southern Africa, but I still put Zambia at the top of my list when it comes to Africa’s Safari Parks. This time of year, in the green or BABY season, is my favourite. The bush flourishes a beautiful emerald green for miles, the animals are out feeding, the bird life is lively and the park is full of newly born wildlife; which if you have the patience, can watch these little entertainers for hours. 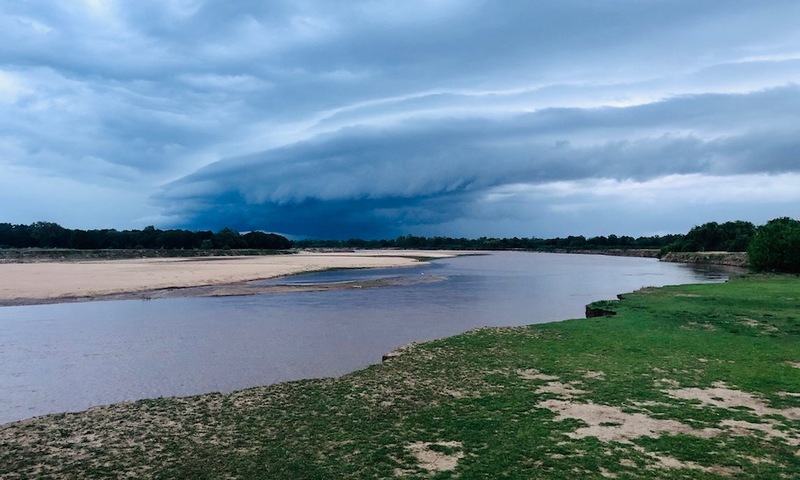 The rivers are starting to fill up and there’s a chance you may get to experience a great African rainstorm which is a spectacular scene. There are fewer visitors this time of year which allows for more intimate game viewing as there are fewer vehicles out on game drives. Mfuwe Lodge is one of the larger Lodges located within the Park with 18 Chalets. 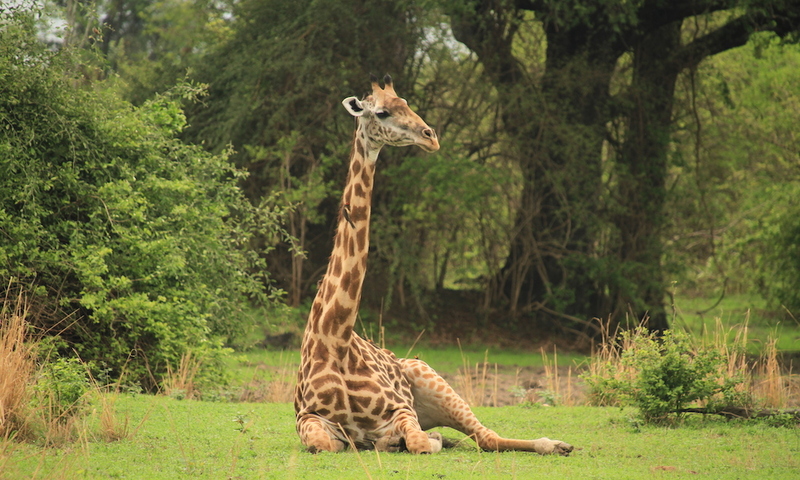 Situated on the banks of the Mfuwe Lagoon, this area alone is rich in wildlife and you will often see an abundance of animals wandering around. The Lodge is very impressive. Here you will find spacious rooms with glorious views, delicious food and high-quality safari guides. There is even a Spa for those who wish to enjoy a leisurely afternoon after a day spent out on a drive. The grand entrance itself is regularly frequented by The Great African Elephant and you can even catch the daily nap nearby from the residents themselves, right within the Lodge grounds. Mfuwe Lodge is part of the Bushcamp Company and is a perfect place to stay at the beginning of your Safari tour. I would recommend enjoying a few days in luxury and settling into the Safari lifestyle before heading off to the remote but just as luxurious Bushcamps. Each camp has no more than 4 chalets or tents and therefore offer a more intimate experience. As they are very remote and the only camps within the southern section of the park, this is the place to go for an exclusive Safari experience. In the low season, you may be the only guests around for miles and can enjoy watching the game without another car in sight….pure bliss when on Safari. Our award-winning guide, Manda, was top class. Having worked in South Luangwa for close to 20 years he was a fountain of knowledge and he wasn’t short of a good story. After a lovely night spent at Mfuwe with amazing food and high-quality game viewing, he took us across on the three-hour drive to Bilimungwe Bushcamp. 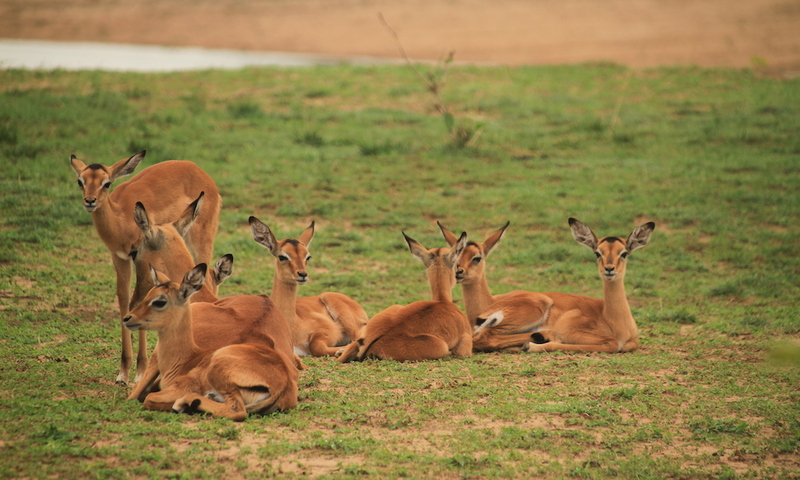 The game drive itself offers a unique experience through the thick Mopane woodland and it is interesting to see the different surroundings that South Luangwa has to offer. Bilimungwe is a small, rustic, yet comfortable camp. Each chalet overlooks a watering hole where you can catch wildlife enjoying a drink: viewing at its best right from the comfort of your very own deck. You get a real feel for the bush staying in one of the Bushcamps, traditional but tasteful, Bilimungwe fits in harmoniously with the surrounding setting you are in. You don’t have to go too far for exceptional viewing, enjoy a bush breakfast with the Luangwa River right on your doorstep all before your first game drive of the day. Alex the Manager was a fantastic host too; warm, welcoming and accommodating. You are made to feel like it is a home away from home and she isn’t short of a great story about the bush either. After a night in the beautiful Bilimungwe, it was time to make my way to the ultimate safari experience. Time + Tide Chinzombo was the perfect way to end the few days spent in South Luangwa. If it is luxury you are after, then this is the place for you. The décor is classy and clean-cut, fitting in beautifully with the surroundings you are in. 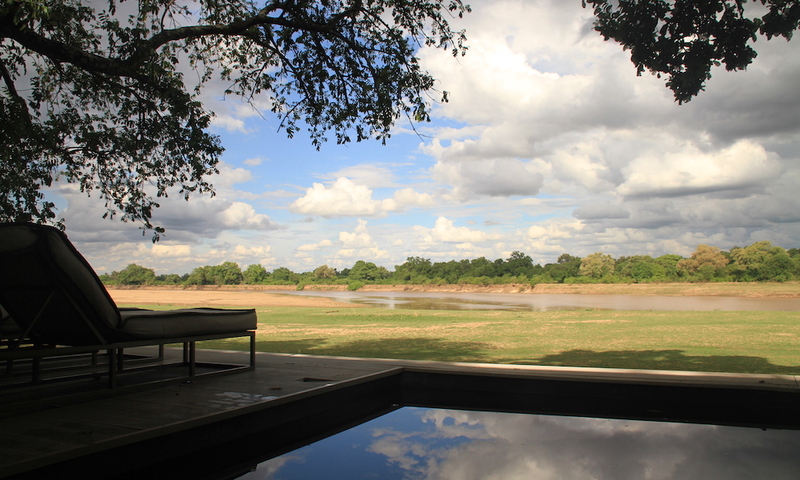 Each Villa has its own pool that looks out onto the Luangwa river, a perfect spot to enjoy your afternoon after a morning drive and lunch. Here too you can watch the inhabitants frequent the banks regularly; a nature lovers paradise. The rooms are heavenly, with panoramic views of the river and if you don’t mind those early mornings wake up calls you will often find the Hippo enjoying their morning graze just mere metres away from the villa. The food was outstanding, I was impressed to learn that they locally source as much of their produce as possible, supporting the villages around the area. I always looked forward to the next meal, tea time or sundowner…you will be sure to head home having to add a couple of notches to the belt. The four days in South Luangwa was magical, the game viewing superb, the staff at each lodge welcoming and award-winning passionate guides. Add Zambia to the top of your bucket list, a truly magical part of Africa, you will not go home disappointed. 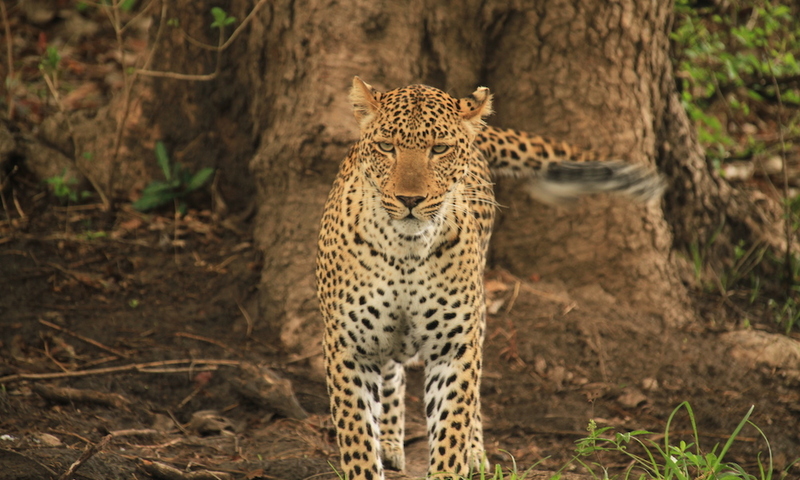 If you would like more information on South Luangwa or to arrange a safari, contact us, here.